Imagine driving safely through miles of heavy traffic, only to get out of your car and hurt yourself when you trip and fall in a parking lot. Los Angeles slip, trip and fall lawyer Sean Salamati understands that a parking lot fall can cause debilitating injuries that require months or even years of medical treatments and rehabilitation, leaving you with large medical expenses, lost income, and a reduced quality of life. If you are injured due to someone else’s negligence in a parking lot, you may be able to recover damages from the negligent parties to compensate you for your costs, expenses and lost income. Salamati Law Firm attorneys will review all of the facts and circumstances that caused your parking lot slip and fall injury, and will fight to recover the largest damages award available to make you whole again. Who’s to Blame if You Slip and Fall in a Parking Lot? The question of who you can sue for a parking lot injury is not as simple as it might appear. The land on which the parking lot is located may be owned by one party, but leased to another party that owns and manages the parking lot operations. That lot owner and manager might contract with one or more third parties for services for the lot’s operations. 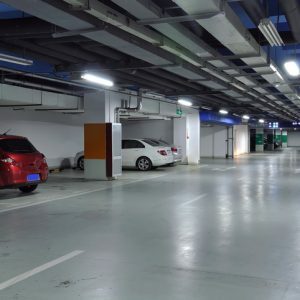 Many parking lots are shifting to unmanned operations, yet the lot’s owners and operators remain responsible for regular maintenance and safety inspections to verify that their facilities are reasonably safe for the people that use them. Sean Salamati will investigate every party that might have responsibility for providing those safe accommodations to determine which of them are liable for damages to compensate you for your personal injury in a parking lot. You suffered some financial or other loss or harm as a result of that failure. Beyond these basic elements, an injured party should be aware of other procedural and evidentiary elements that will be critical in a parking lot fall lawsuit in California. First, California’s statute of limitations sets a deadline for when you can file a lawsuit. Specifically, you need to start your lawsuit no later than two years after you have suffered an injury in a parking lot fall. In a few rare instances, you may be able to extend this deadline, but your opportunity to recover damages for your injury will be stronger if you start your case sooner rather than later. Second, you and your attorney will need to document all of the evidence that caused you to trip and fall in the parking lot, including evidence of the losses and harm you suffered. This includes photographs of any unsafe conditions that caused you to fall (e.g. uneven or cracked pavement, broken lighting, etc. ), copies of medical diagnoses and bills for treatment and rehabilitation, and verification of all income that you might have lost due to your inability to work. Third, you and your attorney will also need to establish communications with the attorneys for the negligent parties and their insurance companies. Insurers like to settle slip and fall cases quickly with low settlement offers in exchange for an injured party’s agreement not to continue with a lawsuit. Experienced slip and fall attorney Sean Salamati law will shield you from this kind of predatory settlement. Once a lot owner’s or operator’s negligence in a parking lot injury lawsuit has been verified, the settlement of that lawsuit will be a function of the harm and losses suffered by the injured party. Those losses will be verified with medical rehabilitation plans and bills for medical services, and pay stubs from before and after the accident to show lost income. Los Angeles slip, trip & fall lawyer Sean Salamati has taken on negligent parties and their insurers and has recovered large damages for people who have been hurt in Los Angeles parking lots and in other locations throughout the State of California. Contact The Salamati Law Firm for representation by skilled lawyers that will help you recover the compensation and damages that you are owed.